For an SEO specialist, the essence of the role is to refine and optimise websites. In doing so, you will regularly find yourself doing a lot of repetitive tasks. So why not refine and optimise the method of how you perform these tasks to make yourself more efficient? To achieve this, there is an abundance of browser add-ons for both Firefox and Google Chrome that will help you save time in the long-run. Read below for our top 7 tools that will help you do some of the most common tasks faced by every SEO specialist. 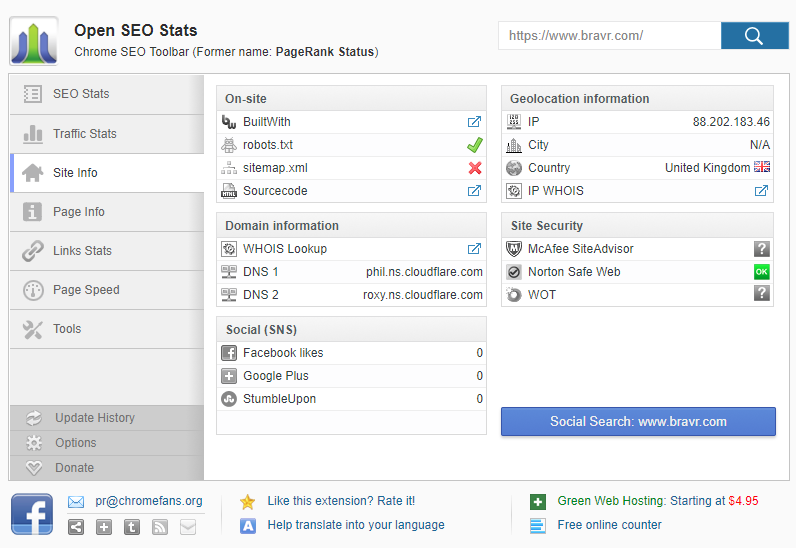 SEEROBOTS is a tool to very quickly see if the page you are viewing has any Robots.txt restrictions. This can quickly show if the page you are viewing has any noindex restrictions. 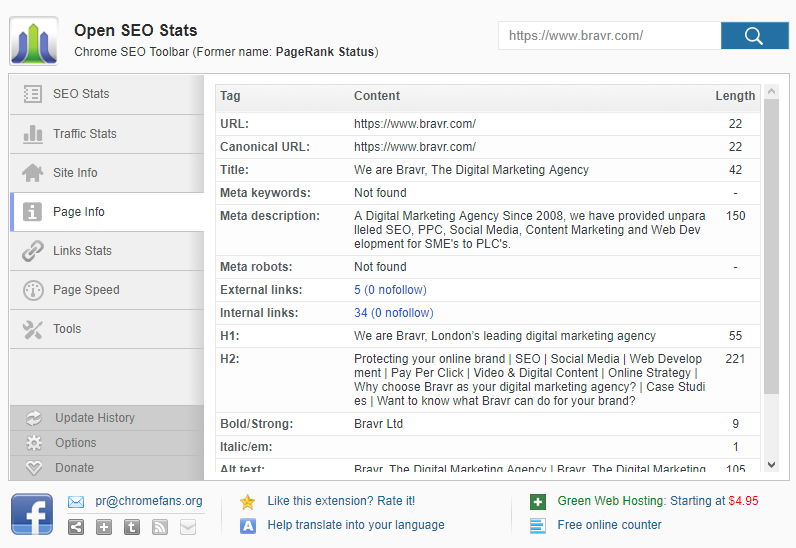 It also includes an indicator for nofollow instruction for the page (not individual links), which is especially useful because if you mistakenly set the page to noindex, it will not be indexed by Google and therefore you will lose all ranking to that page and cause a drop in traffic. This tool sits in the toolbar and has 2 coloured boxes, so a quick glance is all that is needed, without any mouse movement. SeeRobots will conveniently show you the information meta robots tag in the head section of the website you are viewing at that moment. Depending on this information, colours in the browser bar will change. 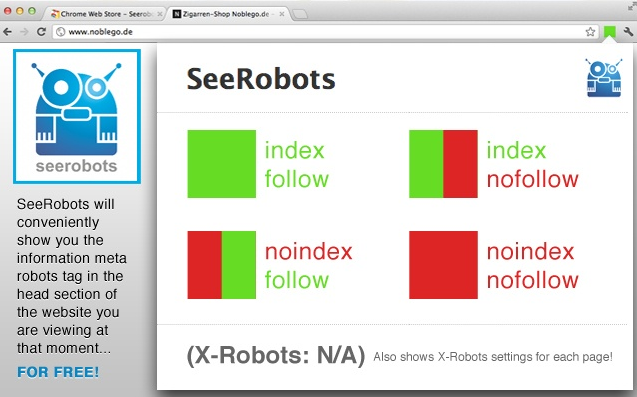 “index, follow” all green – means that this page has index and follow robots attributes. 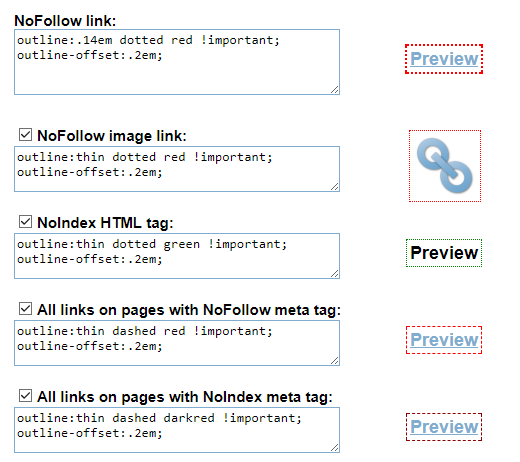 “noindex, nofollow” all red – means that this page has noindex and nofollow robots attributes. “index, nofollow” If the field is green on the left and red on the right it means that this page has index and nofollow robots attributes. “noindex, follow” If the field is red on the left and green on the right it means that this page has noindex and follow robots attributes. As an added extra, this tool also shows X-Robots Tags. 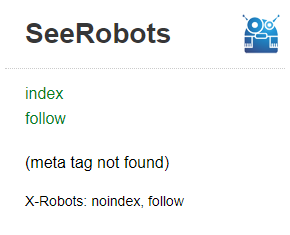 These robot tags are set from the server and won’t appear in the robots.txt file so are missed by some people when reviewing the source of a page. Crawlers like screaming frog will also show the X-robots-tag, but this handy tool is a super quick way of checking without the need to open extra tools. Found yourself going into incognito mode and typing a keyword then crawling the google results? All just to find where your domain is Ranking in Google. This tool is Perfect for quickly checking a keyword ranking position for the domain you are currently viewing. This only checks against domains and not individual pages. Also, it only checks positioning on desktop rankings, but hopefully, in future updates, these features may be added. This tool can help with just a quick single click. Basically, this tool gives a shortcut to viewing the current page even though it’s not currently available. There are various choices to achieve this but I recommend to use the Google Cache and Wayback Machine choices. First, setup options for which services you want to have enabled, and then sort the order they will be used in. This tool is perfect for those quick Google Cache Checks. 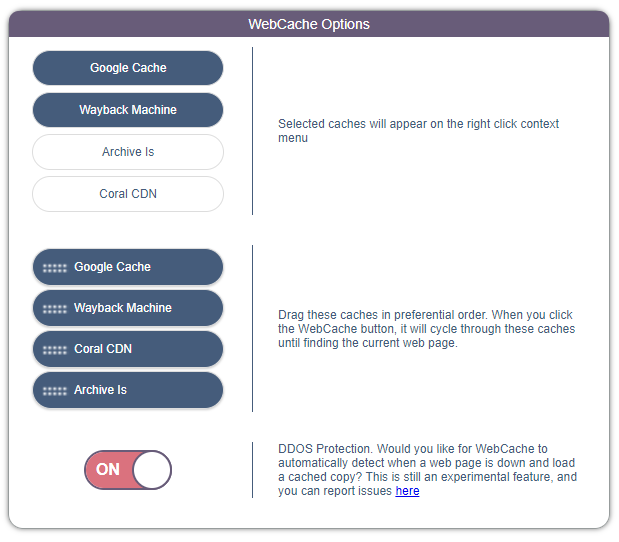 *Top Tip; Place “Google Cache” first followed by Wayback Machine”, this means if there is no google cache it will automatically find Wayback version of the page. A huge Factor of Google Rankings today is page speed and making changes to pages can make dramatic effects on speed. 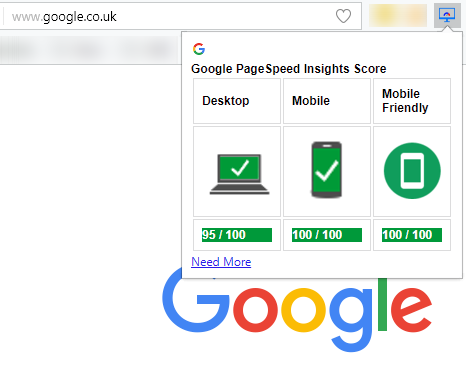 This Amazing PageSpeed Browser add-on can give results of the live Google PageSpeed for desktop and mobile. This also gives the mobile friendliness score and a link to the Google PageSpeed site. The colours also indicate the level of your page speed scores, Green indicates Good, Yellow indicates Fair and Red indicates Poor. *Top Tip; wait for 30 seconds before doing another speed test as results are cached by Google. 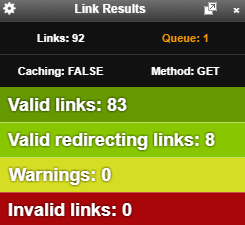 This tool finds and identifies the current status of all the links on the page, displaying whether there are any broken links on the current page. Huge time saver when making sure your pages are all linking to valid destinations. You can check 100+ links in few seconds which would not normally be possible manually. Simply click the toolbar button and watch as it colour codes the links with there relevant status, looking for the RED links which would signify a 404 Dead page. This tool, unlike the previous one, checks the individual links on the page and overlays a CSS if a particular rule is triggered. So, with no effort, you can see which links are marked with rel=’nofollow’ rule because a CSS Outline overlay is placed on all the NoFollow links. *Top Tip; you can disable this plugin when visiting certain sites, so commonly visited websites are not showered with small red outlines, or even temporarily disable it until needed. There is an info box which does a similar task to SEEROBOTS but I prefer the other add-ons approach. 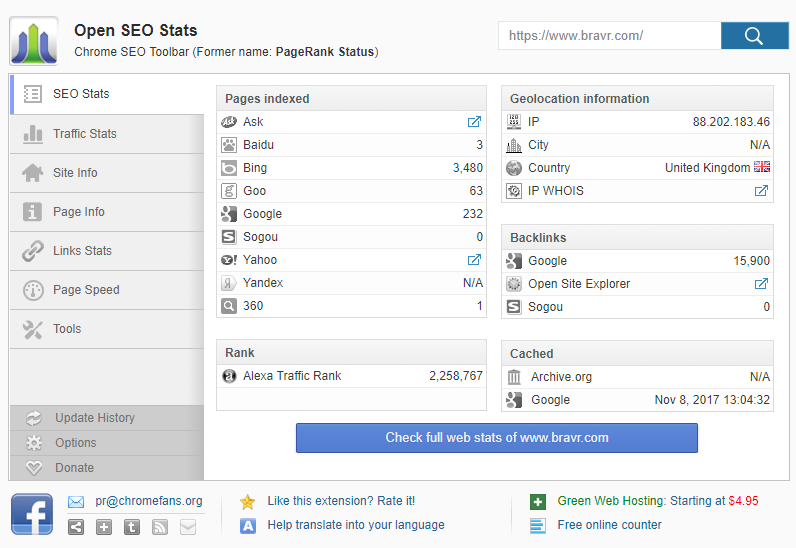 Last but defiantly not least, “Open SEO Stats”. Former name: PageRank Status. This tool is more of a toolbox for a multitude of various quick checks all in one place, and too many to comment on in this blog post. Because of this, I will summarise in short the quick tips I use on a regular basis, and briefly what they do. Here you will see all the ‘Pages Indexed’ for your site across various of search engines. This is useful to monitor index growth and also if your site has an indexing problem. GeoLocation information displays the website’s server location and region of the world. It also gives a quick shortcut to Whois information, which may be needed, depending on your task. The Cached section is a big favourite of mine as it shows whether the current page is cached in Google. It also offers the Google Cache date. These are all good markers of a healthy site if Google is taking regular snapshots of your page. When you click down the left-hand tabs to Site Info, you will find more related tools. The sitemap indicator gives false positives as it only looks for sitemap.xml and most WordPress sites with Yoast use sitemap_index.xml, so the sitemap exists, but just is not being seen with this tool. However, there are a number of quick shortcuts to other services which are useful, such as Builtwith, which breaks down and peaks under the curtain to basic site structure of your site or a competitor and displays the infostructure and plugins etc. Also, here we can see at a quick glance things like the DNS (Domain Nameservers), or even if this site has been approved safe by security experts such as McAfee, Norton and WOT. If you then move down to the next tab Page Info, you will be presented with extremely useful on-page SEO information. This would normally would take much longer than 2 Clicks to view. Here we see the Current URL, Canonical, Page Title and Meta description, plus many other top SEO elements which are key to shaping a webpage and improve your rankings in search engines. 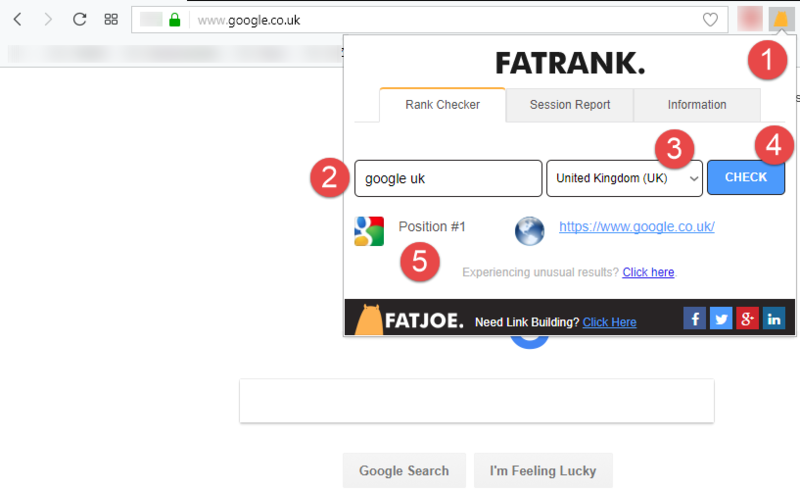 To conclude, this is only an overview of a few elements of this tool and there are many others embedded which are worth exploring to help optimise your day in keeping your website healthy and attractive to search engines and ultimately improve your overall ranking positions. Hopefully these add-ons will free up valuable time for you, so you can focus your day on doing more important tasks, gaining that all-important first position in Google. However, if doing SEO is not your thing, why not pass that burden to our marketing experts who are dedicated to doing what matters most – making sure your business succeeds!